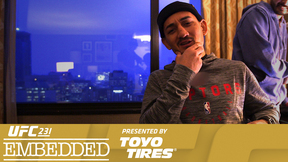 On Episode 5 of UFC 193 Embedded, women’s bantamweight champion Ronda Rousey gets a message of encouragement from a big name in news before talking about loss at Ultimate Media Day. Her challenger Holly Holm, strawweight champion Joann Jedrzejczyk and strawweight challenger Valerie Letourneau also take questions from the media in Melbourne. 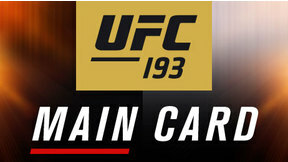 After finishing their weight cuts, all parties head to the official weigh-in. 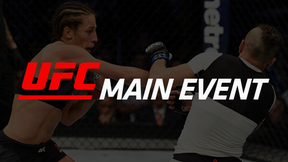 Both champions get into heated staredowns, with Rousey and Holm having to be separated on stage. 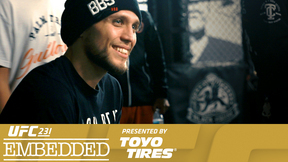 UFC Embedded is an all-access, behind-the-scenes video blog leading up to the double-championship fight night at UFC 193: Rousey vs. Holm, Saturday, November 14 on Pay-Per-View.